It’s surprising that I hadn’t seen Hospitality before last night, as we first posted (and adored) about the band back in 2011. But, that being said, I was rather stoked to see the band as they blew into Austin this past Monday night instead of Milking Neutral Hotels, whatever that means. Little did I know that it would be one of the openers that stole the show. So you’re bummed that you didn’t get tickets to the Neutral Milk Hotel show? Well, you can do the next best thing by joining us to catch their label mates, Hospitality. They’re new album, Trouble, got a lot of love from our girl Nicole, and while it takes on a darker tone, it still has the same infectious sensibility as their first effort. My personal highlight though is catch Air Waves, open, who we haven’t heard from in some time, but I’m sure that their tour indicates things are about to change. 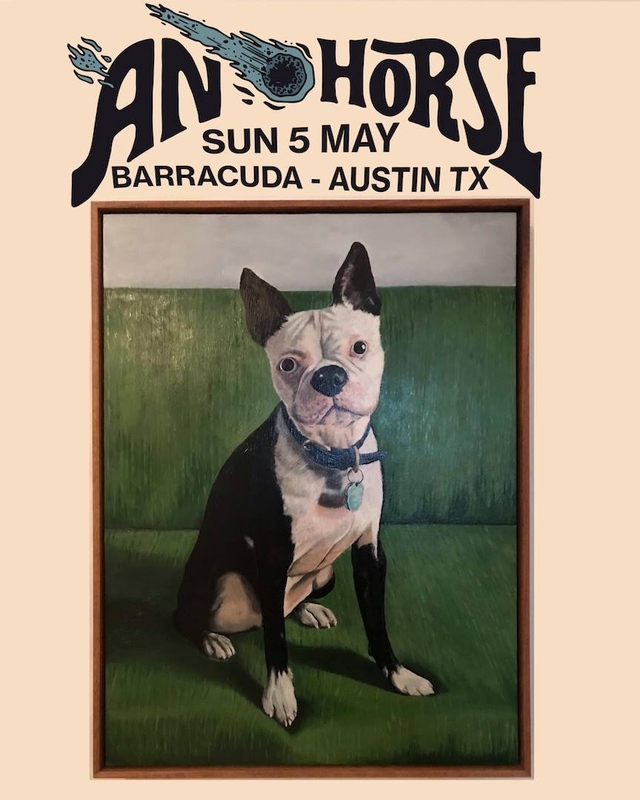 Austin’s own Modrag will begin the night, so raise your spirits by catching the “other” best show in town. 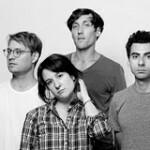 When Hospitality first appeared on the music scene two years ago, I raved about their debut album, which was full of whimsical and fun sounding poppy numbers. Now they’re returning with a sophomore release that feels like a take in a whole new direction. 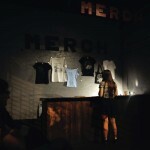 Gone is the odd and strange photograph from the album artwork, and in its place is a darker black and white picture with black stripes over it, which is parallel to the newfound gravity that Amber Papini and company have brought musically to the table with Trouble. “Nightingale” gives out a dose of heaviness that you would haven’t imagined coming across on their first release; powerful guitar rivals in dominance with the vocals, each pushing at each other in a pure rock style. What you get is this lovely juxtaposition of the lightness of Papini’s vocals with the heaviness of the guitar at instances, and in others you still can see the simple whimsy of the band you fell in love with. From this first track, Hospitality shows that they have been doing some growing, but haven’t lost who they were from the start. The next track, “Going Out,” continues this trend of maturity and gravity, but in a funkier rendition. With its smooth percussion and subtle dance beat, Papini really seems to be in her element here, and I imagine it would be an excellent song to witness in a live setting. A few tracks in, you may be asking yourself, just where is that quaint little Brooklyn three piece that I remembered liking so much? Well they are still there, and so is the fun, it’s just been redirected in the form of darkness, which I believe works exceedingly well for this group. “Rockets and Jets,” a sultry, synth based number, will have you bobbing your head and perhaps even busting a move with the best of them. My personal favorite track comes a bit later on, with “Last Words,” a sprawling further trip into the synth dance trail, which is infectious and subtle; Papini’s vocals are mixed with some male vocals as well to give a new element of duality you haven’t yet met with this group. They merge this dark track with the aptly titled “Sunship,” that will have you yearning for that lovely feeling of cool spring breezes and warm sunshine. 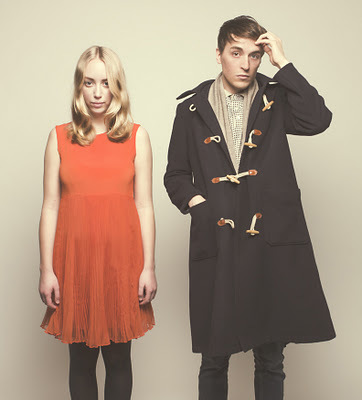 As I mentioned with their last album, what Hospitality does remarkably well is the variation in song length and style. They seem to have locked down just exactly when to be brief and when to let a track linger on, which provides for a lack of dull moment on Trouble. What’s better than no dull moments is an album filled with standout tracks, which is what you’ll find here. Have a listen. What a difference an album can make! 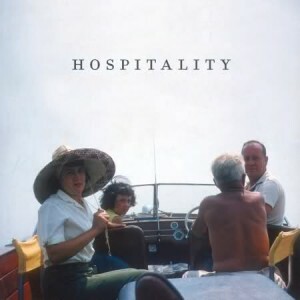 The first effort from Hospitality was a joy, filled with catchy folk-influenced tunes that you could sing whilst still feeling a bit introspective. But, as evidenced by their latest tune, which is slated to be on their new record, Trouble, they’ve taken things into a more sinister place, at least in so far as the mood created. I also think their sound has expanded, filling out some of the empty space that may have been present on their first effort. This tune definitely has me intrigued, wondering if they can maintain their exuberance while going darker (you can hear another tune HERE). I guess we’ll all find out when Merge releases the album on January 28th. 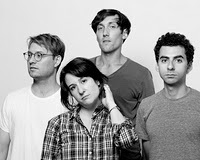 Those looking for something fun to do on Saturday night should head on over to Red 7 for a sure to be fun show by indie-pop band Hospitality. 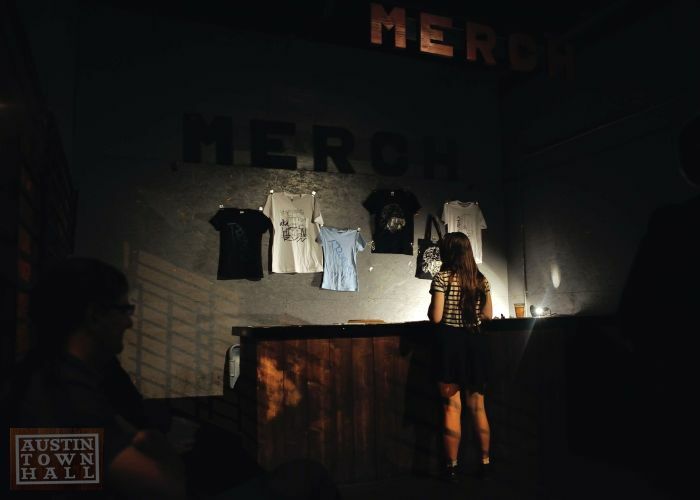 The bands in support are also a highlight and include Hop Along, My Golden Calf, and TEEN. This is a great lineup for you live music fans and you can’t beat that rock bottom price. This Saturday night with all the deserved hub-bub over Psych Fest, there’s a quieter show on the other side of the highway that people are going to miss out on. 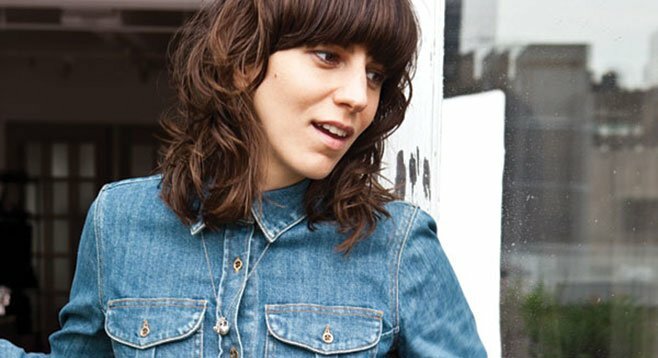 Eleanor Friedberger of Fiery Furnaces fame will be playing a solo set over at Frank. Her songs are clever, her name’s already established and she’s quite the looker. But, the bonus band of the night is Hospitality, one of our favorite acts. They’re out on the road supporting Eleanor and their self-titled album from earlier this year. And I’d like to note that the sound at Frank is suprisingly incredible, so don’t skip it if you’re worried about sound. 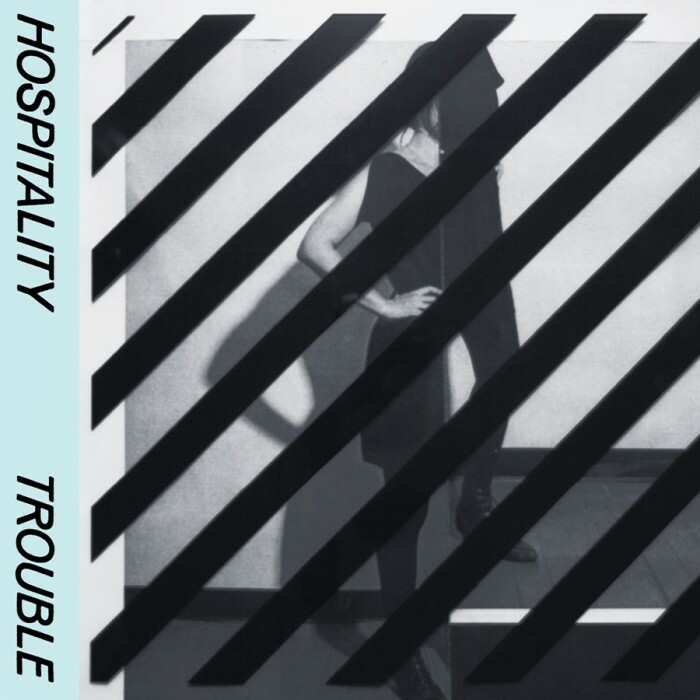 Here’s a jam from Hospitality that will never leave my play list. When I found this gem in my inbox, I tried to look up some info, as the hooks made it nearly impossible to ignore this group. In truth, there is little information on Alpaca Sports at the moment, other than that it’s a solo project of Andreas Jonsson of Sweden, filling out his sound with the help of friends. One thing is for sure, the Internet seems pleased with this tune, as its popped up in various places aside from ours. This single is extra playful, reminding me of recent tracks by Hospitality. If this track doesn’t get your toe tapping or put a smile on your face, please consult your doctor immediately. I can’t tell you how excited we are for this Hospitality record. When we first run their track “Friends of Friends,” RayRay and I were so excited, that we both wanted to post it, almost letting us post it twice. So yesterday when Stereogum ran the second single from the group’s upcomingself-titled album, I got super stoked all over again. 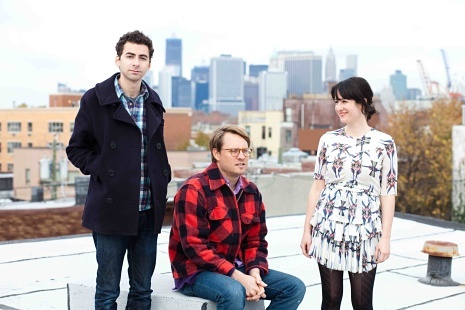 Merge Records is going to put it out on January 31st, and it just can’t get here soon enough. 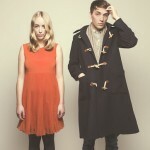 This band is clever and whimsical, but there’s definitely a lush pop quality to the music they’re creating. It’s just a simple formula, but the perfect execution makes it perfect for what any music listener looks for in a hit. Try the new track out.